From a young age babies are introduced to lots of new tastes. 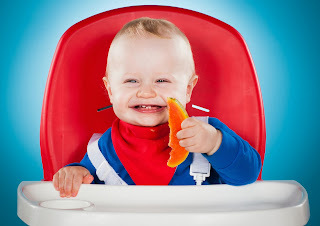 Have you ever thought about how exciting the taste of new foods are for a baby? Ella's Kitchen unveiled the world’s first ‘baby thrill-o-meter’ last week. 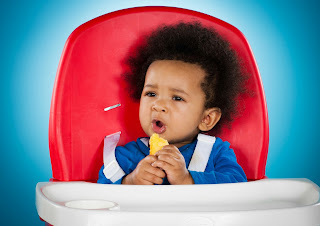 It was made to capture and measure the excitement experienced by little ones when they taste new and different foods. Created in partnership with Thrill Laboratory, the study provides a ver interesting insight into babies’ physiological reactions when they try a variety of different foods : fruits, vegetables and spices. This thrill-o-meter has been bespoke made, measuring babies’ Galvanic Skin Responses to different foods, combined with facial expression and body language analysis from parents to determine how positive the response was. It revealed mango and cinnamon as the ingredients that were the most thrilling amongst little ones, closely followed by lemon and coconut. Here are the full results from the thrill-o-meter, revealing a list of the top 10 most exciting tastes for babies. Ella's Kitchen create all their food with babies taste buds in mind, so they are using this research to create more exciting and tasty meals. What tastes do your children find most exciting? ?